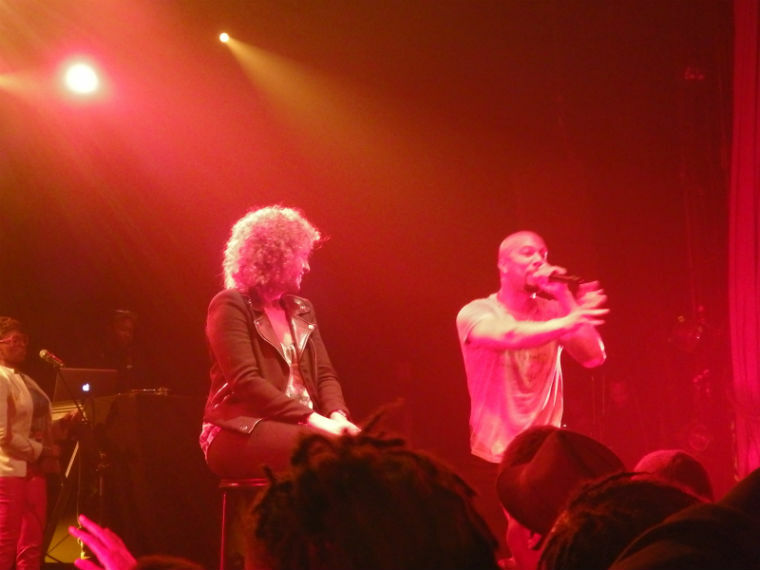 Last Sunday night (November 16th, 2014) I was lucky enough to go to the Bataclan in Paris to see Common perform while on the European leg of his Nobody’s Smiling Tour. 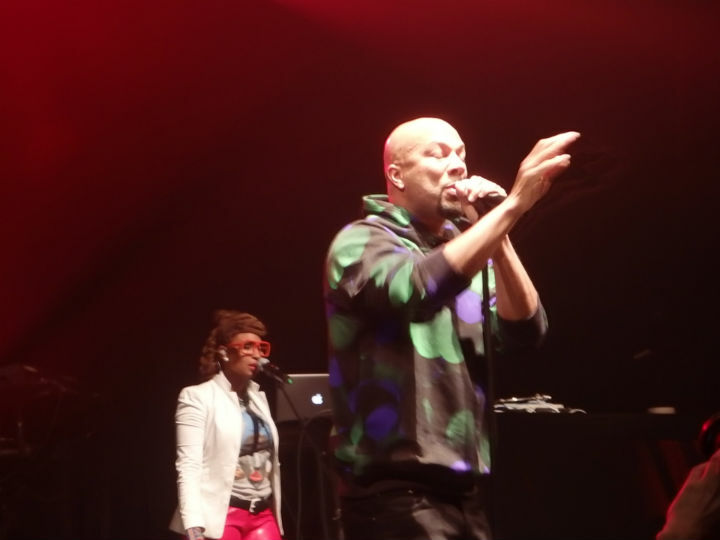 Now this is a big deal for me as I am a super hip-hop fan and Common (from Chicago) is one of my all-time faves! Quick backstory: he was scheduled to play in Paris back in March 2011. I had my ticket and was super psyched to go see him. Then, either a day or so before the concert date, there was a fire at the Elysée Montmartre, the beautiful concert hall in the 18th arrondissement, and it was cancelled! I was crushed and have been patiently awaiting his return ever since! You now have an idea of the level of anticipation we’re talking about! 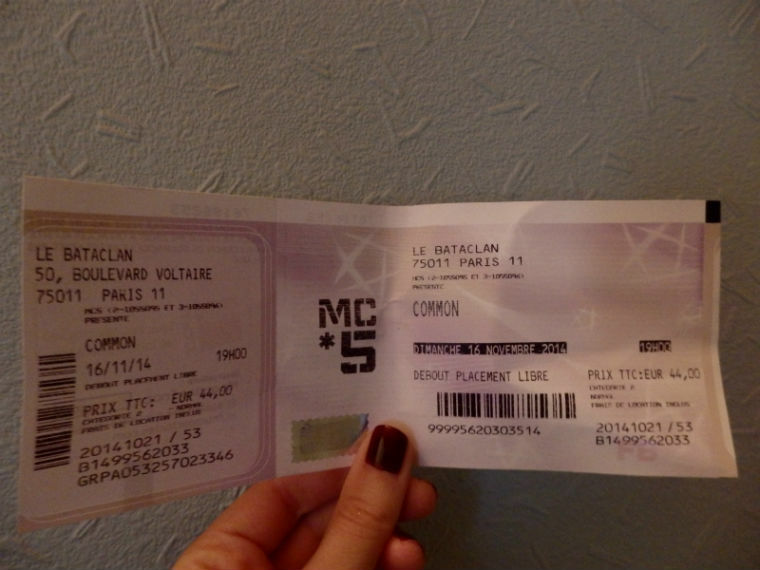 Got my ticket, ready to go! 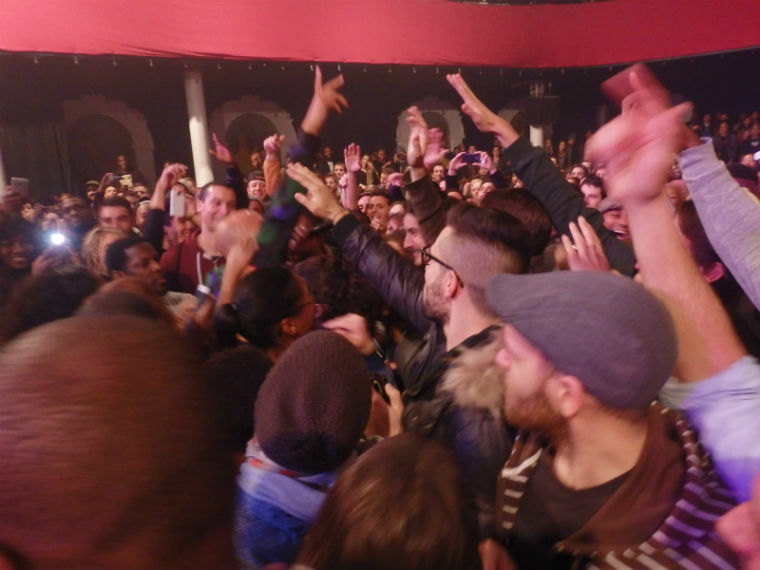 So unfortunately I haven’t met many fans of rap, hip-hop and RnB in Paris (and the few I have, like myself, don’t have too much spare cash) so I went on my own. First time going to a concert solo, but nothing should stop you from doing something you love, right? 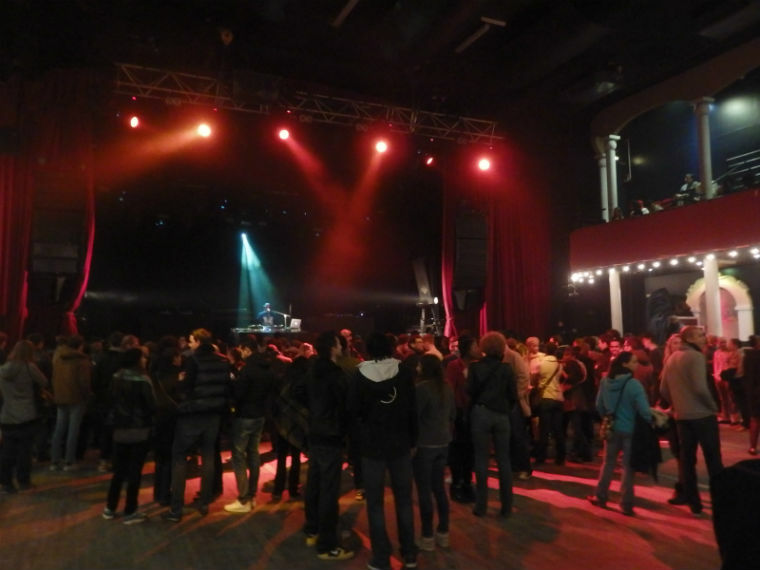 Got to the Bataclan and saw a huge line-up outside…great…they weren’t letting people inside yet. So I got in line and waited patiently in the rain. Chatted with two ladies visiting from California who happened to see he was playing tonight and decided to get tickets. The 45 minute wait went by quickly and once inside I immediately made my way towards the stage. 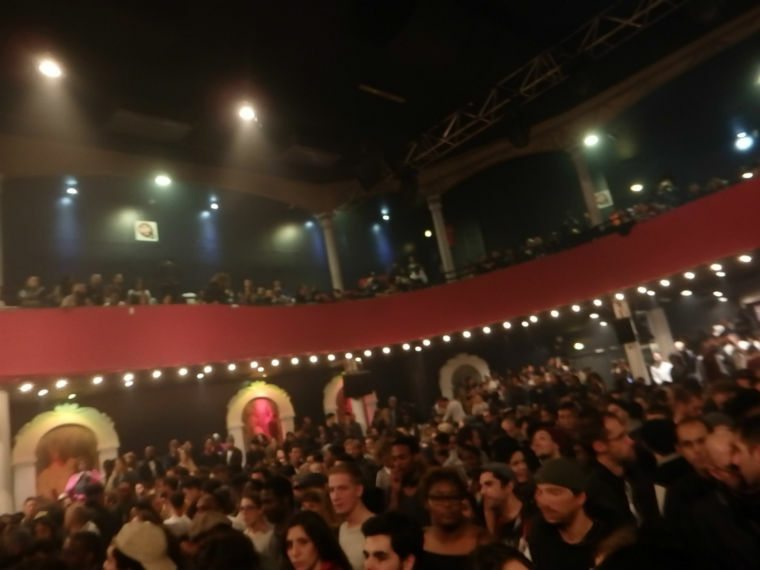 What’s nice about the Bataclan (apart from its original architecture dating back to 1865) is that there is a balcony for those spectators who want to sit but the rest is general admission and whoever wants to get close to the stage just has to get there first. I made it as far as three people from me and the stage. Three people blocking me from touching him…but I was CLOSE! Dj FAB warmed up the crowd with some old-school hits and then the lights dimmed and slowly the music of Forever begins started playing. The first Dj appeared (Dj Dummy, super talented!) then the keyboardist, another Dj, the backup singer (who FYI, I didn’t catch her name but she had a beautiful voice)…and finally Common, dressed in a green and blue printed black hoody and black jeans. 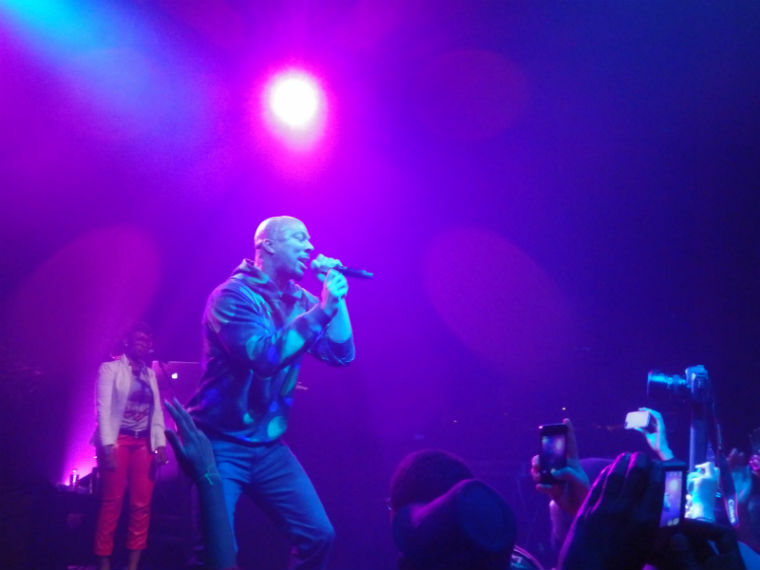 As he appeared onstage the entire room exploded with applause and screams! The entire two hours (well almost) that followed were beyond awesome! He sang a few songs off of his new album but the rest were his classics like Testify, The Light (loooove that song), Go and I used to love H.E.R. His energy was endless as he ran back and forth, jumped around and high-fived the people in the front row. He jumped off stage and into the crowd during the song Blak Majik (I was too far to the left to touch him) causing everyone to go wild. In the crowd, but out of reach! The highlight for me was definitely when he sang my favorite love song of all time Come close. He actually chose a girl from the crowd to come onstage and then proceeded to serenade her. The girls glued to the stage in front of me were clawing their eyes out with jealousy as he slow danced with this lucky chick (after having her wipe the sweat from his face with a towel). I think every female (and, hey maybe even some males) in the room would have liked to have been her…including myself. I am a total groupie after all! I sang each lyric of the song with him, which was the hugest thrill. “Its just a fly love song“…oh yes it is. My night was officially made, and after a few more great songs like Love of my life as well as a freestyle rap, he thanked the crowd and left the stage! But we wanted more!!!! After a few minutes of screaming and stomping from the crowd the gang came back and he sang a very emotional song (from his new album) called Rewind that. The second verse talks about his friendship with J Dilla (the amazing hip-hop producer who passed away in 2006 from lupus) and he tells the story of how they met and worked together and how he watched his friend getting sicker and wished he had won a Grammy award (which he soooo deserved by the way) before passing away. The whole song will really connect with anyone who has lost someone they care about or that wishes they could, for some reason or another, go back in time. It was very moving and I got a little teary-eyed. 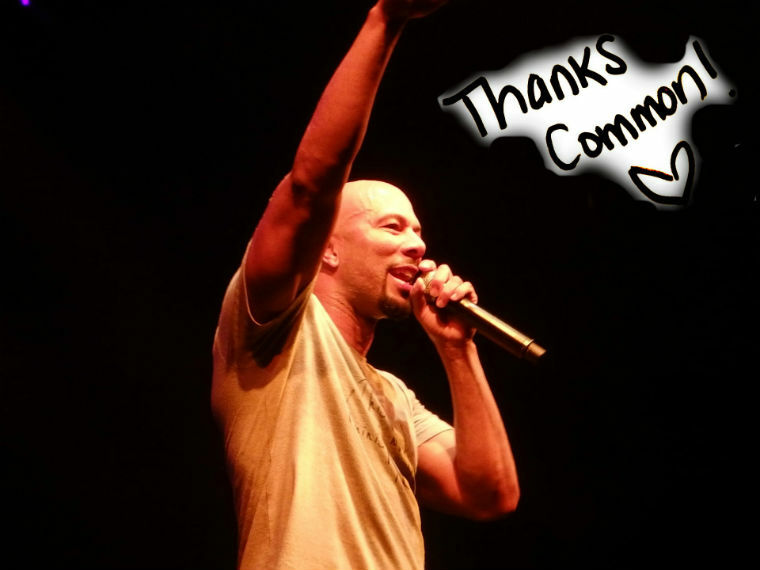 That’s the beauty of Common’s songs. They often tell a story and they touch your soul. After that he ended the night on a high note with the song Celebrate, an upbeat song about living in the moment with your friends and celebrating life’s accomplishments. The crowd was all smiles and sang and danced together as one. He mentioned that it was his Mom’s Birthday, so we felt extra special being able to celebrate with him. Overall it was an amazing concert (I only wished it had lasted longer…oh and that I could have gone on stage and danced with him!haha) and I truly hope it won’t be too long before he is back in town! P.S. For those of you who don’t know him (*gasp*) here is a link to my favorite song, Come close. 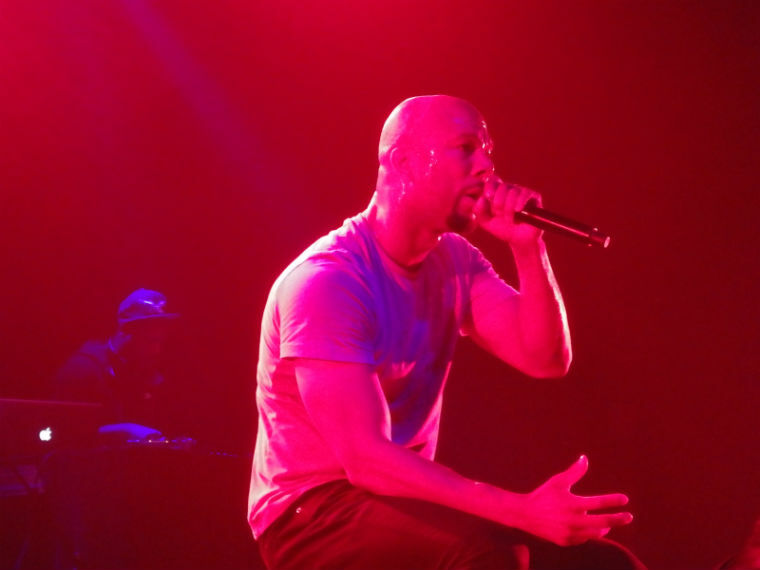 Categories: Uncategorized | Tags: Bataclan, Common, Concert, Paris | Permalink.